Seaford Town Council is pleased to announce that the official opening of the new wheelchair swing at The Salts Recreation Ground will take place on Saturday 28th July 2018 at 1pm. This has been made possible by the incredible amount of funding raised by Seaford’s previous Young Mayor, Thomas Exley. 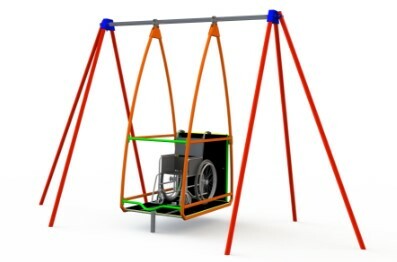 The swing is a piece of play equipment which allows young people in wheelchairs to experience play like any other child. It is a vital piece of equipment for our town with a growing percentage of children requiring the use of a wheelchair. The swing will provide a stimulation to the senses for children who are disabled. If there are any young wheelchair users that would like to be one of the first people to try the swing, please get in touch with the Council. Please come along and show your support!